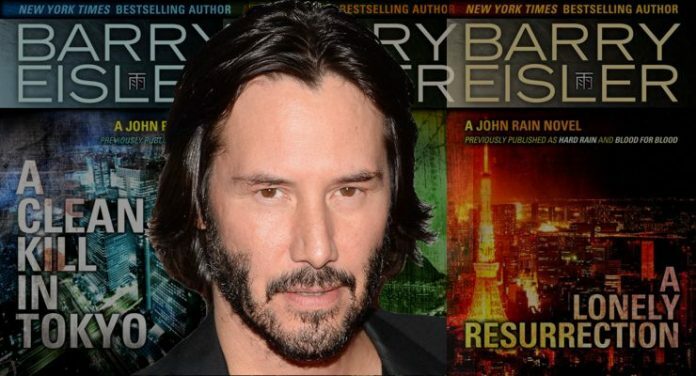 Slingshot Global Media has announced that, for the first time, Keanu Reeves will star in and executive produce a television series called Rain, based on the best-selling novels of Barry Eisler that feature the character, Rain. These novels include A Clean Kill In Tokyo, A Lonely Resurrection, Winner Take All, Redemption Games, Extremis, The Killer Ascendant, The Detachment and Graveyard Of Memories. Rain centers on John Rain (Keanu Reeves) who is half-Japanese, and half-American. He is a contract assassin who specializes in “death by natural causes”. Always an outsider, Rain has no other identity than that of “hitman” and therefore no life beyond killing. Slingshot will produce and distribute the series, and, along with Keanu Reeves, Barry Eisler, David Leitch and Chad Stahelski will also serve as executive producers.